The repeater group is pleased to informed that the mobile repeater 9M4RME is up and running. This repeater is installed at Bkt.Gasing, Petaling Jaya and is triggerable at the following frequency. 1) Provide voice communication for hams within its reach, with special emphasis for low power and mobile operations. 2) Serve as a community repeater to encourage more people to get involved with radio and foster close neighbourhood co-operations, eg rukun tetangga etc. 3) Provide a learning ground for younger people esp. school children to start a good hobby. Radio can come in handy for Boys Scouts, Girl Guides, sports and other school related activities. 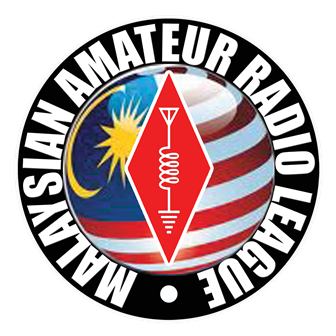 4) For the technically inclined ham members, share and gain knowledge on repeater set-ups and get an insight of the technicalities of the operations with guidance from the experienced. 5) Provide a gateway for connection to Voice-over-IP and tap into the wealth of resources and information over the internet. 6) Remote control and connection to other groups and systems via DTMF over the air. 7) Encourage digital mode communications on VHF in line with our aspirations to be a communication service provider in emergencies. Please feel free to comment. All Feedbacks in Yahoo Group please. 9M4RES akan mula beroperasi mulai Isnin (12/6/06) petang. Sila maklum penukaran frekuensi. Repeater ini bertempat di Genting seperti biasa. 9M4RME Mobile repeater akan beroperasi pada hari berikutnya dari Pantai Panaroma, tujuan memberi coverage utk kawasan PJ, Shah Alam, Petaling, Serdang, Bangi, setengah-setengah tempat di KL dan sekitarnya. Sila warwarkan kepada rakan2 yang tidak ada internet dan standby di frekuensi tersebut apabila rakan2 membuat cubaan pada hari di atas. Please change your settings in your equipment accordingly.